Situated amongst vibrant rice paddies shadowed by a panorama of dramatic limestone mountains; Jurassic Mountain Resort & Fishing Park possesses the most striking setting of any fishery in central Thailand. The lake has been intricately designed, excavated and stocked for the specific purpose of sport fishing. Each of the seventeen swims surrounding the lake offer space, comfort and convenience while fishing. 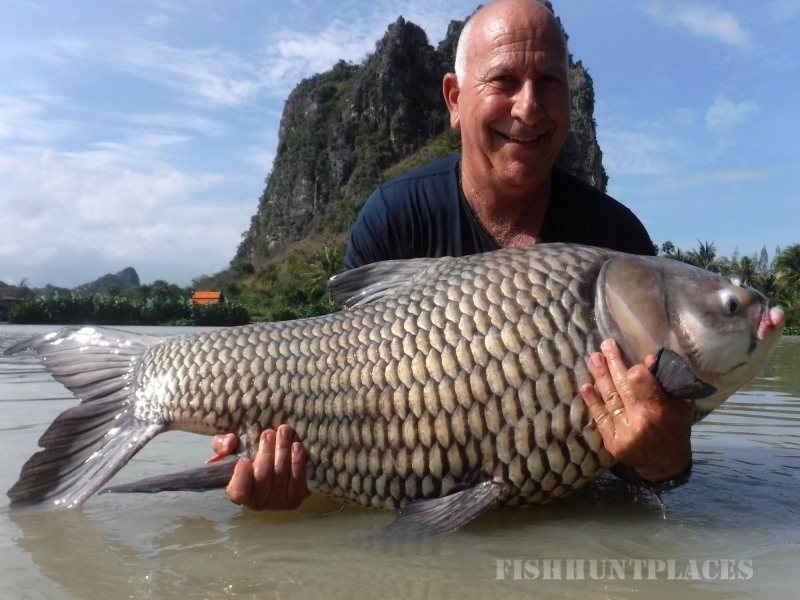 Siamese carp are so abundantly stocked they form the mainstay of the angling experience. 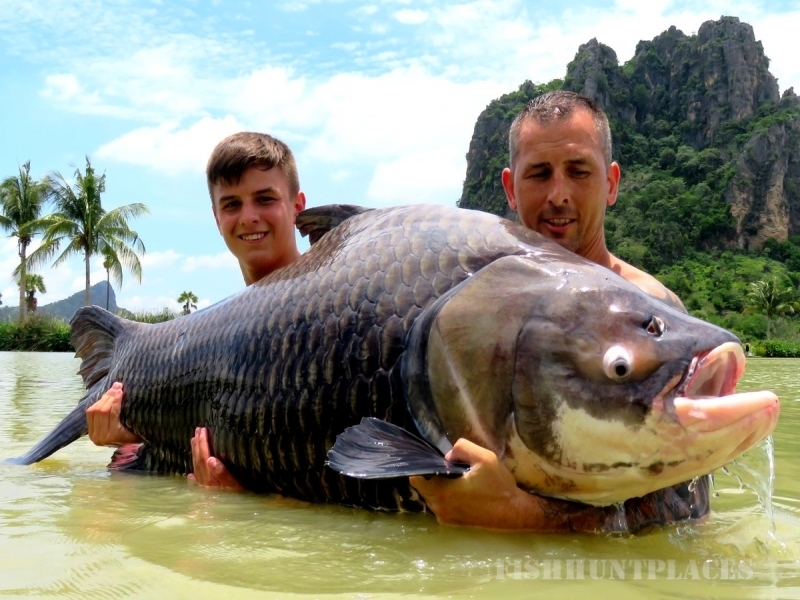 With Siamese carp in excess of 50lbs quite common, and some specimens in excess of a 150lbs there's simply no better carp fishery in Thailand. 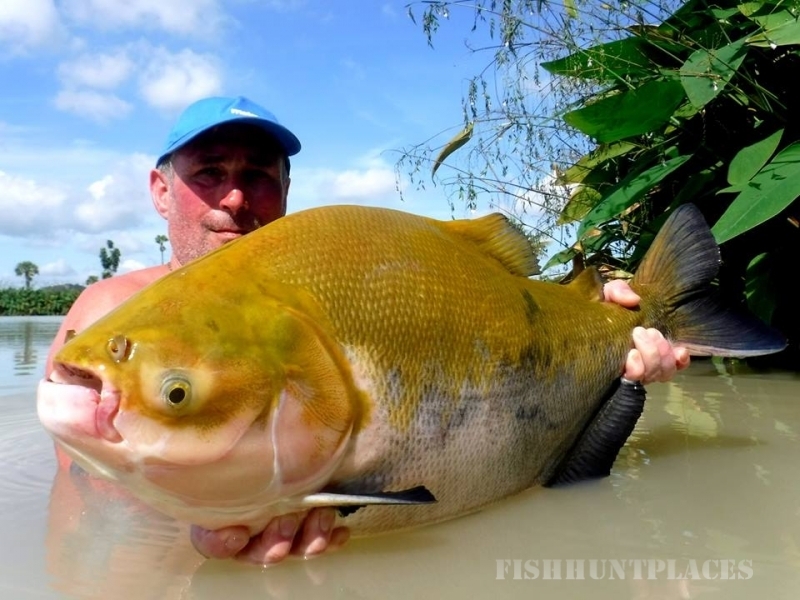 The prolific carp catch rates coupled with variety from Thai and Amazonian exotic fish species growing to enormous proportions, forms an unequalled fishing experience. Jurassic’s ongoing stocking program means anglers will enjoy an ever increasing variety of fish species selected primarily for their sporting qualities. 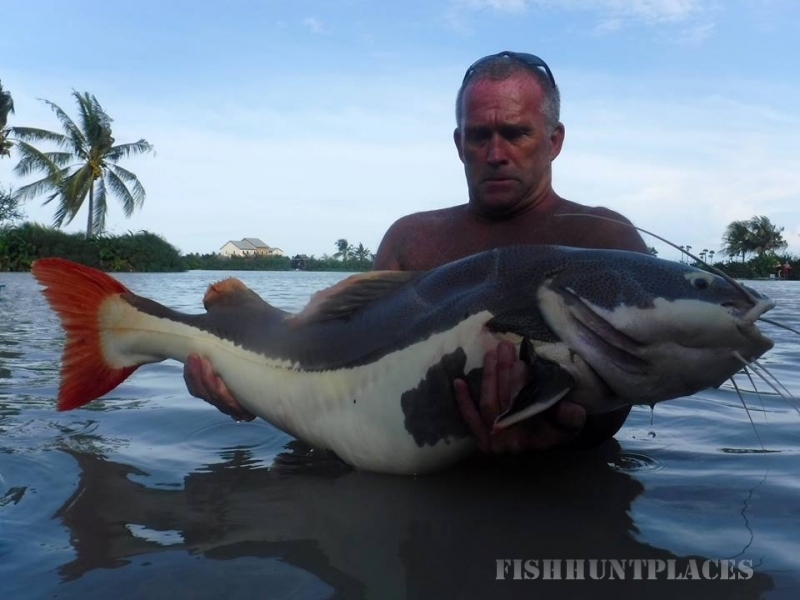 Currently their are 17 species stocked including Giant Siamese Carp, Mekong giant catfish, Indian Carp, Arapaima, Amazon redtail catfish, Thai Redtail Catfish, Tambaqui, Chao Praya Catfish, Niger Ripsaw Catfish, Giant snakehead, Tambaqui, Giant gourami, Pacu, Alligator Gar and more. 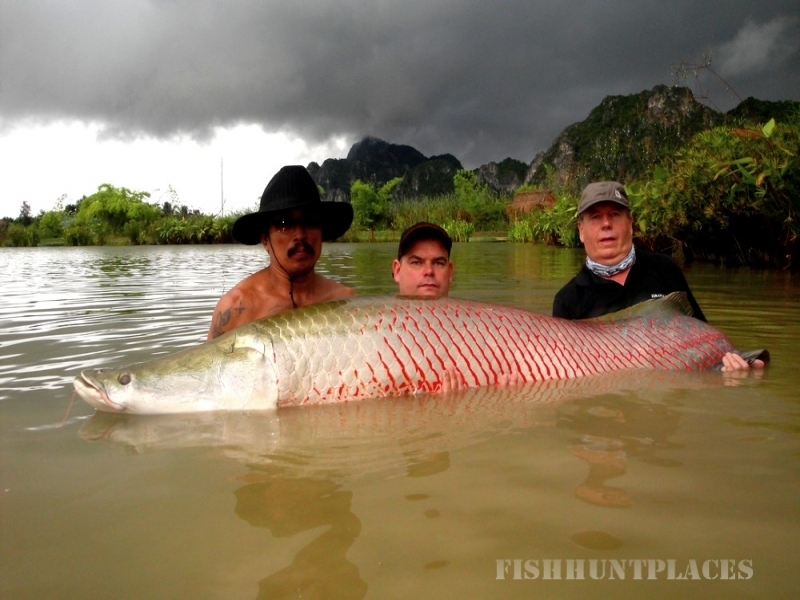 Shade is provided by well-situated salas (the Asian bamboo bivvy) from where anglers can enjoy the tranquillity and splendor of the Thai countryside while awaiting a fish to strike. Being a fully facilitated and functioning fishing resort allows anglers to enjoy food and drinks delivered to their swim and the convenience of on-site toilets and showers.